Arguably the most popular choice of the modern cloth diapers. 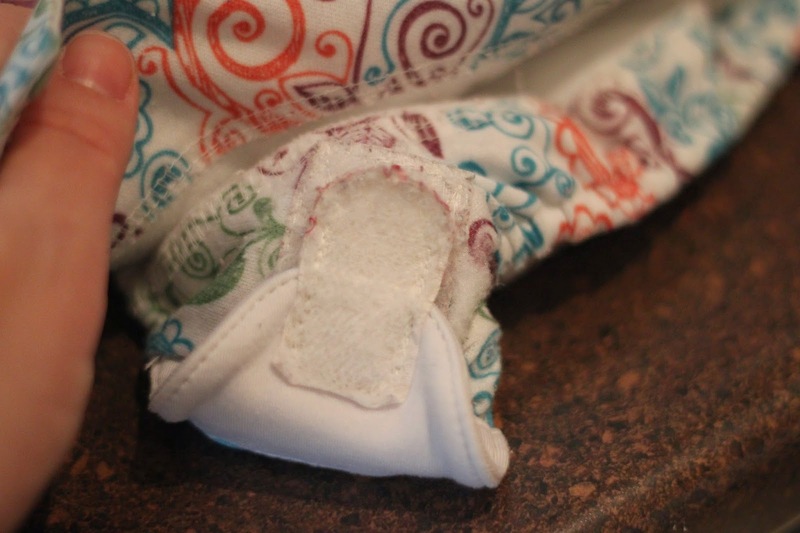 A pocket diaper has a layer of fabric sewn onto 2 or 3 sized of a cover creating a little "pocket" opening that can be stuffed with different types of inserts creating layer-able absorbency. They come in snap or aplix. While aplix (also called hook and loop or velcro) wears more like a disposable, it also needs to be hooked before washing, and can wear out after a while. Snaps are a little trickier to get a good fit, but don't need special washing attention and don't wear out. A few brands have better aplix than others. Personally I love the aplix on TotsBots (an all-in-one) and Thirsties, but do not care for the aplix on Rumparooz or bumGenius. I keep a mix in my stash and save the aplix for the sitter. Diaper companies make different kinds of inserts. 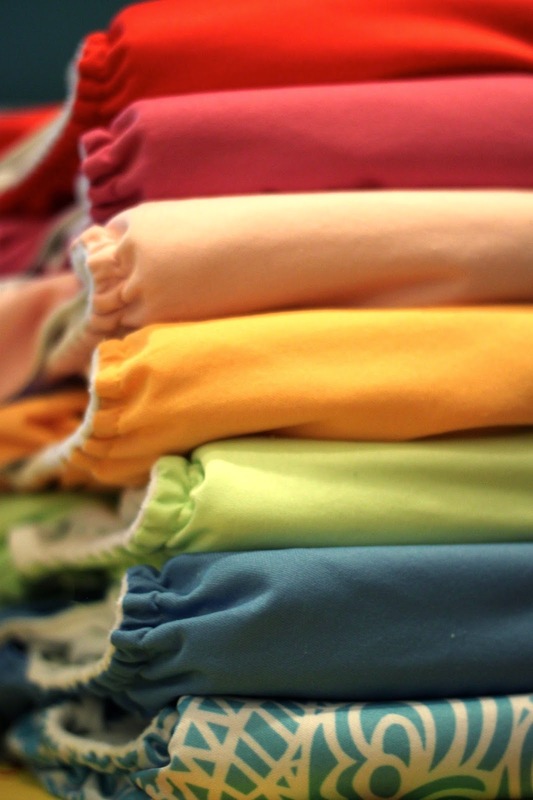 Fabric options include polyester, microfiber, hemp, cotton, bamboo, and assorted blends of these fabrics. 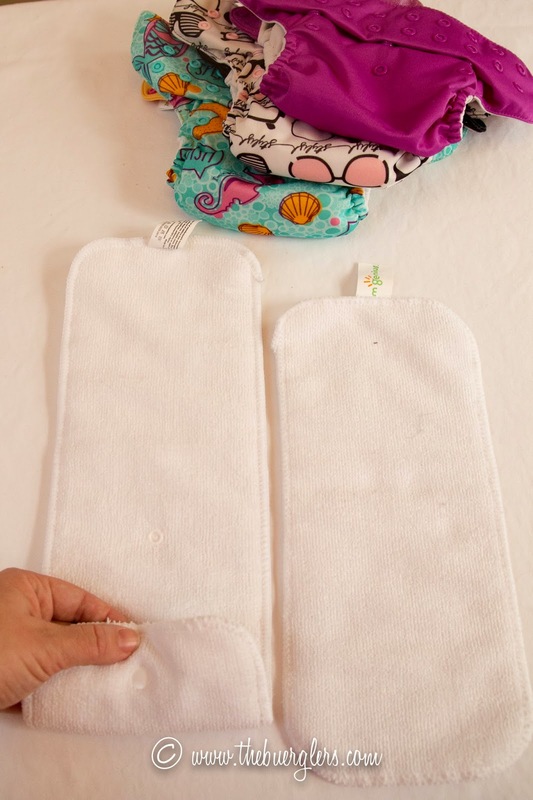 Most pocket diapers come with two sizes of inserts and/or an adjustable sized insert. In some cases they're both synthetic, and in some cases one is synthetic and one is natural. 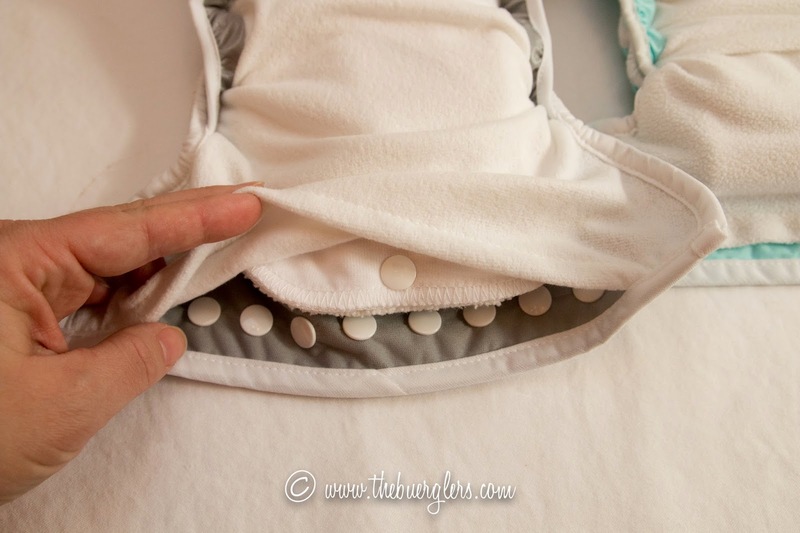 The synthetic materials like polyester and microfiber help pull the moisture away from the baby's body. They're a little bulky when you start to layer just synthetics. They dry quickly after washing. Some synthetics cannot touch the baby's skin and must be put inside a pocket. The natural materials like hemp, cotton and bamboo are more absorbent and are very trim but can leave a wet feeling because they don't absorb as fast. They tend to take longer to dry and become stiff if line dried. Yesterday we talked about flats and prefolds. These can be folded and stuffed into pockets. 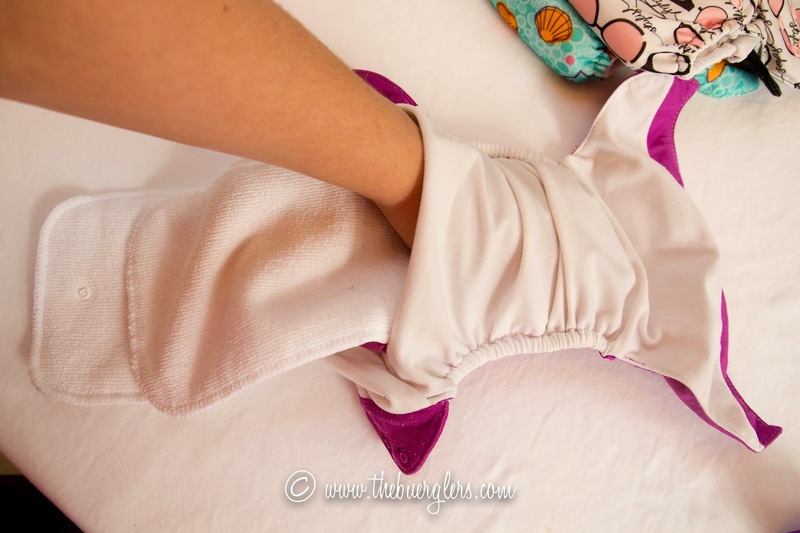 You can even use an old tshirt or swaddle blanket! What's the best option? Start with whatever the diaper comes with. It's probably all you'll need for the first 6-12 months. You may need to double up inserts after that. And by 15-18 months you'll likely need one of each type of insert. Many companies offer a "booster" or sell alternative inserts to mix and match as your child grows. 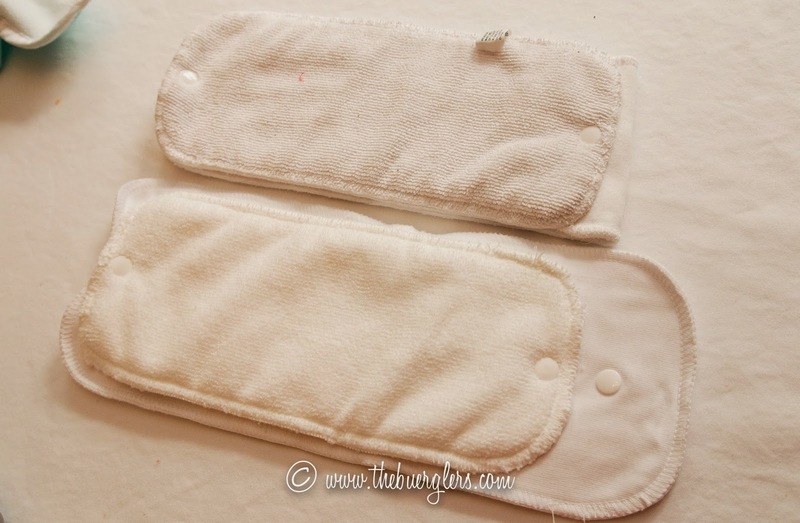 You can even mix brands, or example I pair a Thirsties hemp insert with a bumGenius newborn microfiber in my bumGenius pockets. Rumparooz - These are wildly popular and have won several awards. What I love about them: The double gussets are awesome! They do a great job containing poo. I also love their newborn insert is contoured so it's trimmer when at the smallest setting. The new prints are super cute. What I don't like about them: Even though they are rated for 35+ pounds my sister-in-law and I couldn't get them to fit our chunky kids much past 28 pounds. Available at The Natural Baby: Not at this time. What I love about them: They come with both a newborn and full-size snap down (sizable) microfiber insert that can be layered. The pocket opening is generously sized for easy stuffing. The fit is generous enough for my 40 pound 3 year old. What I don't like about them: I find them overwhelmingly large on new babies, and even on skinny infants. And even now that Maggie is 17.5 pounds I find the snap closure and "wings" to get bunchy and droop. I have also found the elastics to stretch out / relax faster than other brands. Thirsties Pocket - Brand new and my favorite! 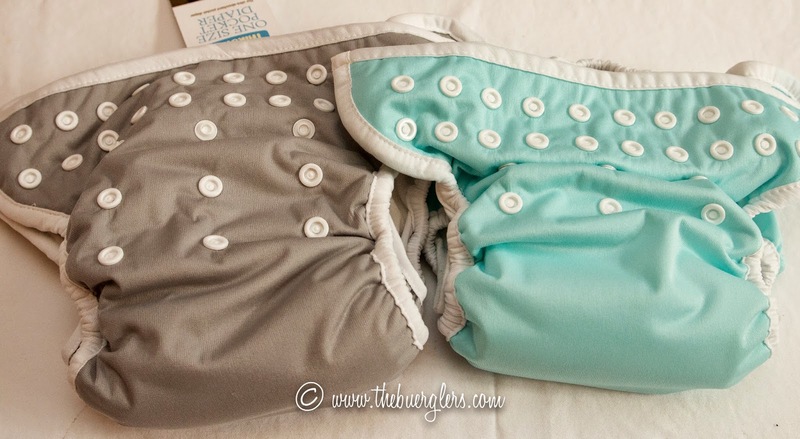 What I love about them: They come with both a newborn (microfiber-terry) and full-size (hemp-cotton) insert that can be snapped together as baby grows. The pocket opening is generously sized for easy stuffing. These have a pocket opening at both the front and back so the inserts agitate out in the wash (they really do!). They have the double gusset to ensure a leak proof fit on skinny babies. And for the sake of this post I put it on my 40 pounder and it fit! This is trimmest pocket I've ever used. What I don't like about them: To be honest, I've only used it for 3 months so I don't know how well the elastics hold up. Fuzzibunz - These were the Cat's Meow a few years ago, but they keep redesigning and changing the fit. No one can keep up. And they have stopped selling to retailers. Several moms have mentioned they're tricky to stuff because the pocket opening is so tiny. On the flip side, they have removable and sizable leg and waist elastics so you get a custom fit. 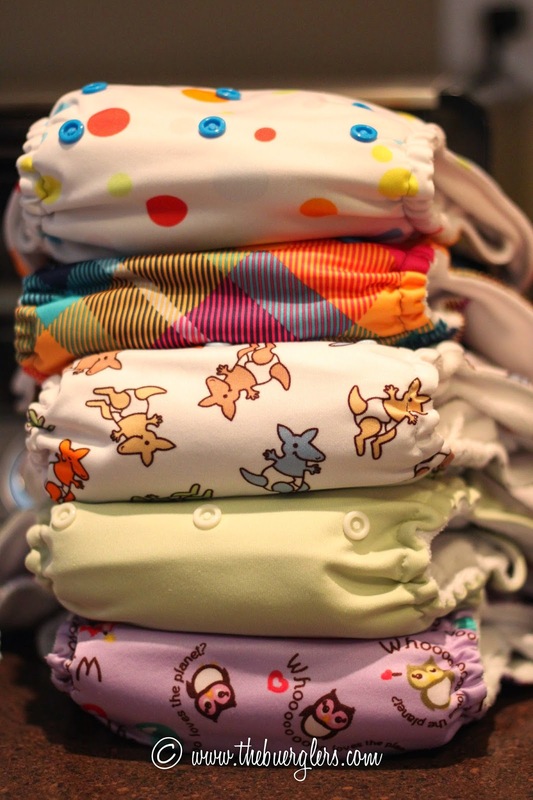 Fuzzibunz also has/had a "perfect fit" line of sized (according to weight) pocket diapers. If you can find some of those, snag them! They were great. Charlie Banana - I only know about these second hand. They're like a bumGenius fit with the sizable elastics of Fuzzibunz. These are sold at major baby retailers so they're easy to find. One mom mentioned she like that the pocket is in the front (not that back like most) so it's easier to remove for washing. Kawaii Baby - These are popular because they're cheap yet decent quality. They come with two haphazard sized microfiber inserts. They run a bit bulky. I really liked their Good Night Heavy Wetter pocket with extra thick PUL for naps. I don't use them anymore because I found diapers I like better. Special thanks to @kieraaimee @mprodelscotcha @NoWealthButLife @Katerintree and @beccasanborn for their great Twitter conversations about pocket diapers this week! Have you entered our gift card giveaway? Cloth diaper advocate - that sounds like such a fun part-time job!! 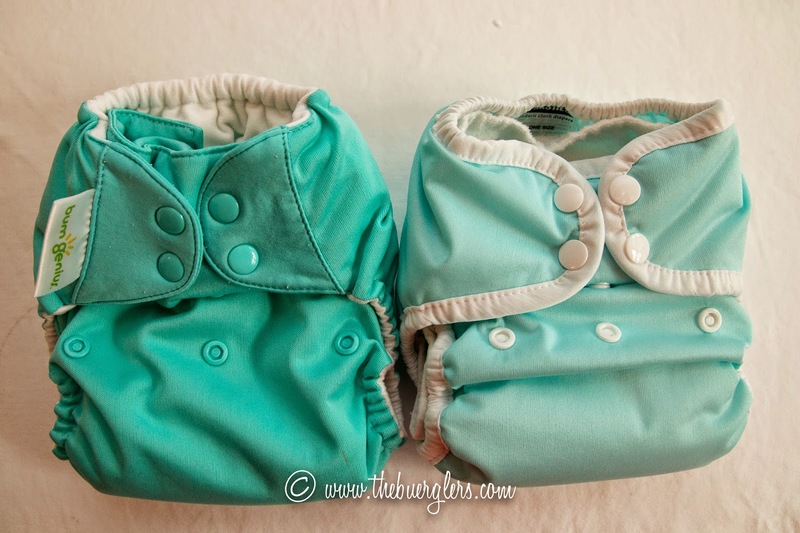 Great post for someone interested & confused about cloth diapering. 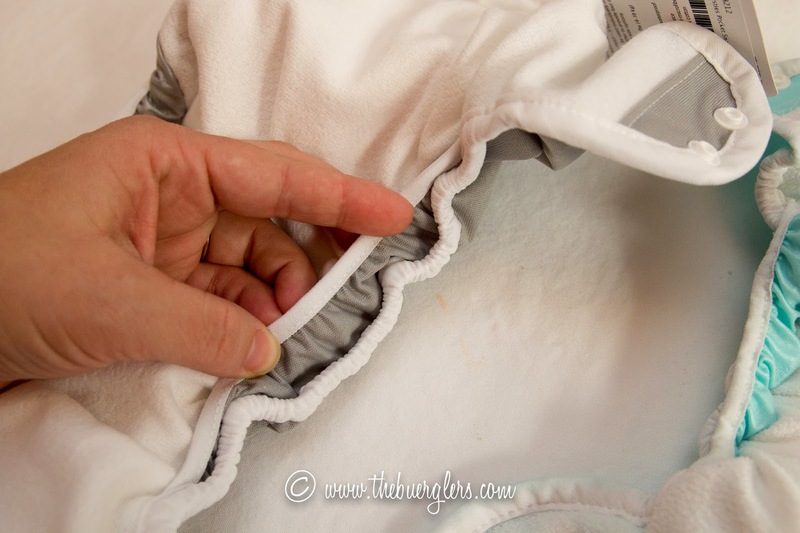 I posted a few times about cloth diapering while I was cding my first. My 2nd child is over a month old & I am thinking about doing the same with her!